Thanks to bouinbouin for this awesome scan! It's a very interesting picture...So I tried to respect the original feeling in vectoring it. I kept all elements, in adding a sweet warm atmosphere. Magnifique , tout simplement magnifique! Merci pour cet wallpaper ! 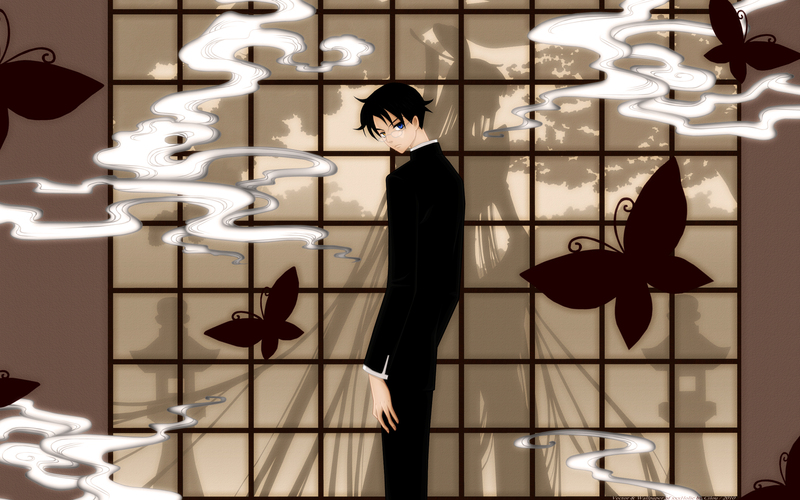 another great wallie <3 loved watanuki eyes, they seen so intense. this is surprisingly impactful - it's not the usual, downtrodden, slave-driven image of the wimpy and pliable Watanuki. I can't believe I only just now stumbled over this beautiful wallpaper, but this is now my favorite of your CLAMP-inspired works. I"m a big fan of this 'couple'. Very nice! Simple but good! I like the soft colors and the white smoke! Also Yuuko's shadow is very good! Thanks for sharing!